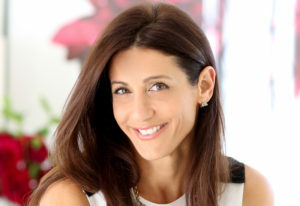 Stella & Dot launched in the UK in late 2011, offering women a conduit to run their own business hosting jewellery parties at home or acting as a stylist for the brand. Stella & Dot founder and chief executive Jessica Herrin tells Kathryn Bishop about plans to push further into the UK and Europe while looking after a global team of stylists and hostesses. Sipping from a take-away coffee, eyes dazzling and smile wide, Stella & Dot chief executive Jessica Herrin personifies what many of today’s businesswomen aim to be. She looks the part, is a great storyteller but most importantly, Herrin knows her stuff. She’s been there, done that, launched an award-winning business and is now working with women and men across the world to build its name: Stella & Dot. In turn, Herrin says, the company allows individuals to run their own jewellery business to fit their lifestyles. Stella & Dot works to a concept that has been compared perhaps unjustly to Tupperware parties and the army of Avon ladies that traipse the cul-de-sacs of the UK. While it is easy to use those examples to explain how Stella & Dot functions – its hostesses run parties for groups of women to shop its jewellery collections in the comfort of their own homes, while its stylists are on hand to personally help customers select items to match an outfit or for an event, each taking a cut of sales – its product is unmistakably more glamorous and its approach contemporary.